Even though C2E2 doesn’t start until tomorrow, there’s already big news coming out of the Windy City! At the Diamond Comics Retailer summit in Chicago today, Image Comics Publisher Eric Stephenson announced Image Expo 2013, a unique media event that will take place in San Francisco’s Yerba Buena Center for the Arts on July 2, 2013. Image Expo 2013 will be an all-day event featuring announcements from Image Comics, the publisher of the best-selling comic book titles THE WALKING DEAD, SAGA, FATALE, EAST OF WEST and JUPITER’S LEGACY, as well as appearances by superstar creators, including Image partner and THE WALKING DEAD creator Robert Kirkman and Ed Brubaker, co-creator of the Eisner-nominated FATALE, revealing panels, and autograph sessions. Tickets for this exciting event will available to the general public for purchase on May 3, 2013. 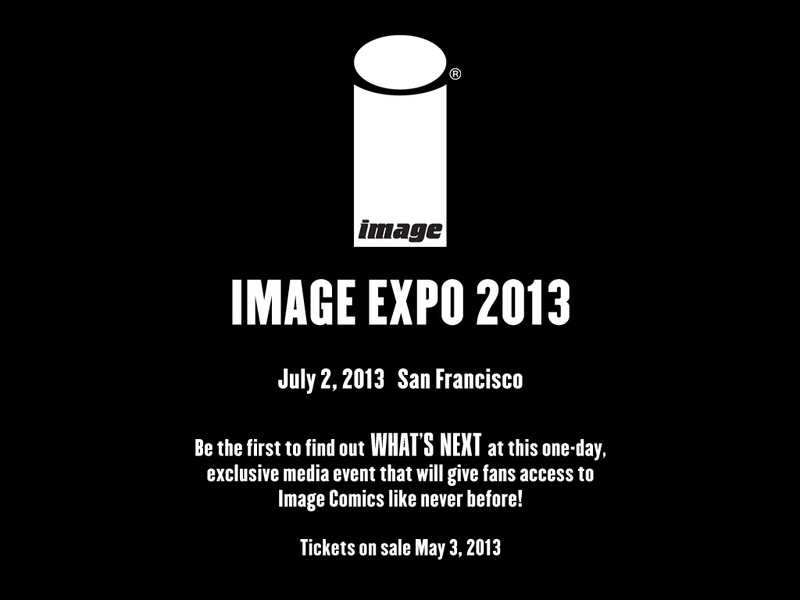 Image Expo 2013 follows the publisher’s successful 2012 Image Expo convention, which was held in Oakland, California. Image Expo 2013 will be be the most intimate comics event of its kind, offering unprecedented access to creators, exclusive swag, and the first chance to hear what the publisher that has been taking the comics industry by storm has planned for the future. Image Comics fans can keep on top of all the latest Image Expo 2013 developments at www.imagecomics.com/expo for ticket information and guest announcements.